Embrace of ten well arranged orchids; they are freshly bloomed and look awesome and beautiful. 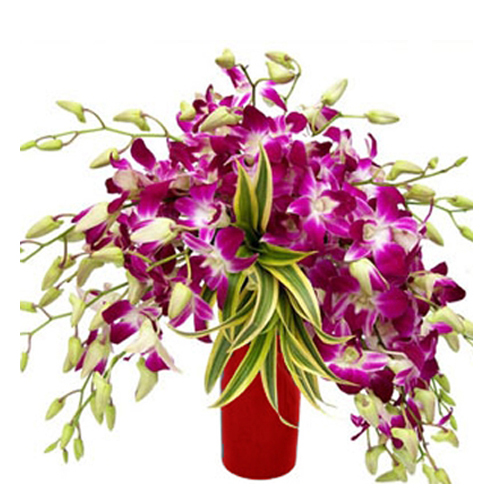 If your beloved loves purple orchids, then this bouquet will definitely delight him/ her. 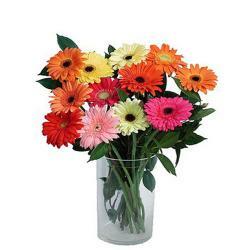 The flowers have been neatly placed in a glass vase so that its arrangement is retained. 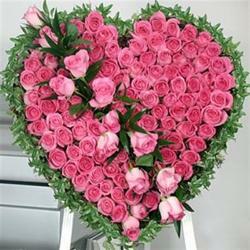 Apart from using it to express your love, you can also gift it on celebratory occasions like birthdays, weddings, anniversaries, rakhi , diwali, holi Christmas, new year and many more. 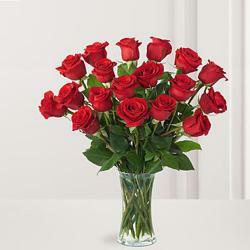 Giftacrossindia.com provides you same day delivery of your door step without any extra charges. 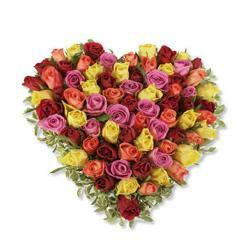 And even we arrange fix time or midnight delivery at very nominal cost.